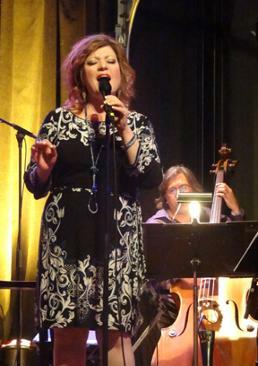 Mary Carrick is a dynamic crosso ver singer with a vocal and artistic range that spans great American standards, jazz, blues, musical theater & contemporary music, along with classical/opera and art song. She harnesses a voice that transitions seamlessly between shimmering, lyrical, velvety sounds and a powerhouse delivery and has a gift for getting at the heart of a song. Fearless and intuitive whether singing a role or in concert, she discovers the depth of lyrics and brings the audience into each moment through her evocative interpretations rooted in honest storytelling. She exudes ease & charm on stage and radiates a charisma that captivates the listener, creating an intimate experience in the largest hall. Tight, inspired arrangements are the hallmarks of this exciting ensemble led by J. Gawf, music director with Mary on vocals, Mark Haar on upright bass, and JB Ferguson on drums. Together this group fuses a set list of classic standards, blues, jazz, and classic contemporary songs, while taking music in innovative and sophisticated directions with an inviting and embraceable style. Mary offers themed cabaret shows as a soloist with piano or with a combo. Shows combine combine stellar vocals, unique interpretations, and theatrical flair. Music includes familiar favorites and lesser known songs pulled from the American Songbook, musical theater, contemporary American song, jazz, and more. Shows are peppered with stories and humor, making for a delightful and memorable evening (or afternoon)! Inquire for more information about the following cabaret shows, including sample set lists. Mary Carrick is a Touring Artist with the Nebraska Arts Council. Performance funding is available through the Nebraska Arts Council (NAC) for Nebraska non-profits and through the Mid-America Arts Alliance for non-profit organizations located in Arkansas, Kansas, Missouri, Nebraska, Oklahoma, and Texas). View Mary's NAC performance profile. 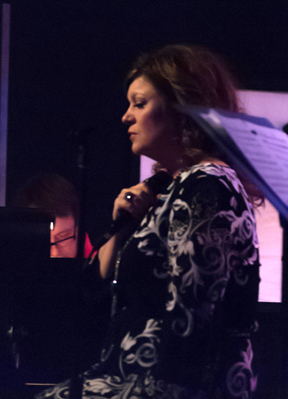 A one page snapshot about Mary Carrick, solo vocalist, and The Mary Carrick Collective.